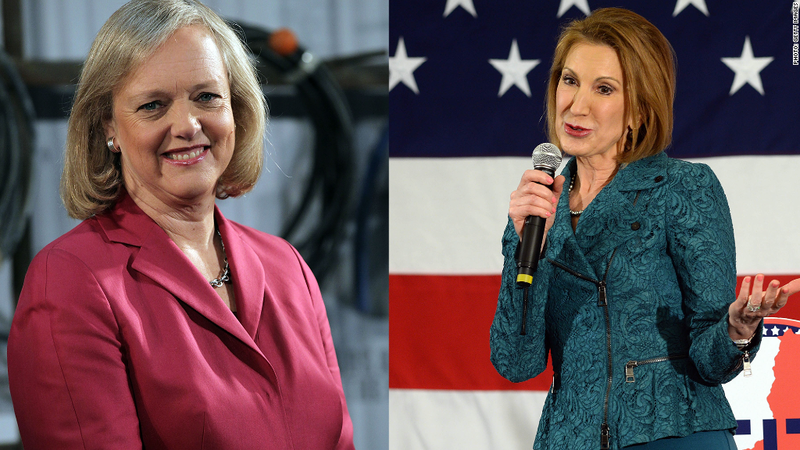 Meg Whitman knows exactly how Carly Fiorina feels. Fiorina, a longshot 2016 Republican presidential candidate, has been sharply criticized for the job she did running Hewlett-Packard (HPQ)last decade. 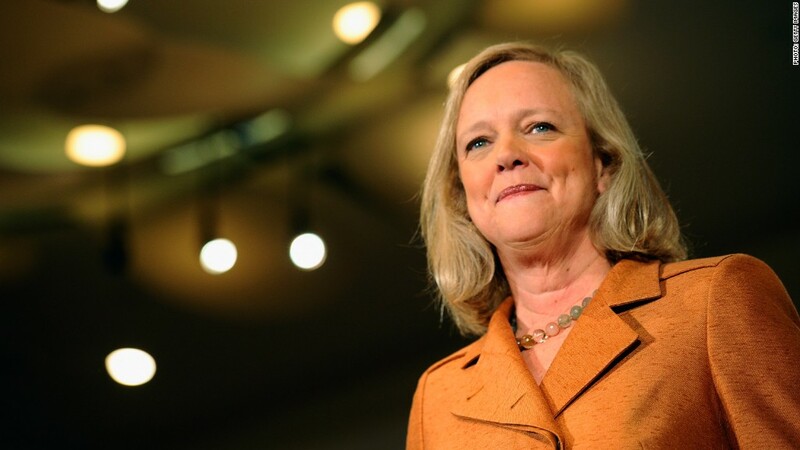 As HP CEO at the time, she presided over a plunging stock price and the layoff of about 30,000 workers. "I suspect she was trying to do what I'm trying to do, which is make this company more competitive," Whitman told CNN's Poppy Harlow in an interview at HP Discover this week in Las Vegas. Whitman also said she believes Fiorina has "a lot of strengths" as a presidential candidate, although she declined to say who among the GOP contenders she will ultimately support. Whitman acknowledged that questions about Fiorina's tenure are "fair game" in the race for the White House and said that she doesn't know all of the details about what went on at the company during that time. Still, Whitman believes her predecessor was just doing her job. "You have to do what enables your company to be successful in the market. You have to be competitive -- or you will lose," she said. Controversial tenure at HP: Even 10 years after being forced out at HP, Fiorina remains a deeply polarizing figure, according to interviews with a dozen current and former HP employees by CNN's MJ Lee. "She did damage to a great company and I don't want to see her do damage to a great country," Jason Burnett, the grandson of late HP co-founder David Packard, told CNN. "HP requires executive decision-making and the presidency is all about executive decision-making," Fiorina told CNN recently. It's not just the layoffs that have riled critics. Investors lost money as HP's share price tanked under Fiorina and the mega merger with Compaq proved highly controversial. Some downsizing "obviously" needed to occur at HP following the Compaq marriage, Whitman said. "The price of inaction is far greater than the cost of making a mistake," she said. HP easier than politics? Now that she's in charge, Whitman has been forced to make many job cuts of her own in an effort to turn HP around. Even after overseeing 55,000 layoffs since 2011, Whitman told CNN more cuts are likely in the cards. Despite the huge challenges she's faced remaking the company, Whitman joked, "It's a lot easier than running for governor." In fact, she says being on the campaign trail and the ensuing media scrutiny made her a "better CEO," a more effective communicator and "a lot tougher." Whitman 'evolves' on gay marriage: Since losing the election, Whitman has changed her position on gay marriage. The HP CEO was one of about 300 conservatives to file a brief with the Supreme Court in 2013 in support of gay marriage. "My point of view on this evolved. Society changes, things change, your perspective changes as you get a little older," Whitman said. "It's the right thing for gay people and lesbians to be able to marry just like everyone else. In many ways it's a civil rights issue." She added, "You ultimately have to do what your heart tells you."